LAINES FARM: Copyhold Lane, Upper Ridges, Heaselands and Newbury Pond will be included in the Footpath Society walk this Sunday (March 24). Meet at Cuckfield car park, Broad Street, ready to start walking at 2pm. For more details call Diane Ellis on 01825 723716 or 07990710521. ZUMBA WITH LUCY: takes place every Wednesday at the Scout Headquarters from 7pm to 7.45pm. It is a fun friendly class suitable for all abilities. Classes are £5 pay as you go with a weekly raffle to win a free class. No need to pre-book you can just arrive and join in. For more information contact Lucy at zumba_lucy@outlook.com. QUIZ NIGHT: is at The Fountain, Plumpton, on Tuesday March 26, at 8pm. Teams up to 6, £5 per person. The quiz will be hosted by Graham Meheux and tickets are available from grahammeheux@gmail.com. There will be a raffle on the night. Proceeds from the evening will be split between the St Peter and St James Hospice and Chailey Classic & Vintage Tractor Club. Nibbles supplied and prizes for the winning team. There will also be quizzes on Tuesday April 9 at the Rose and Crown Fletching, Tuesday April 16 at the Stand Up Inn Lindfield and Wednesday April 24 at the Kings Head Lewes. For more details email chaileytractorclub@gmail.com or call Howard on 07971 792449. JUMBLE SALE: takes place, at the village hall, on Saturday March 30 at 2pm to raise funds for the Tennis Club. Donations of jumble will be much appreciated. Please take donations of jumble and cakes to the hall from 9am to midday. There will be a tombola, toys, books, clothes, bric-a-brac, cakes and much more. There will be lots to rummage through so do go along, you may well find a bargain. Entrance costs 50p, with children free. ARLINGTON RESERVOIR: lay-by or car park (Map Ref 529 065) is the start, at 10.30am, of the Footpath Society walk on Wednesday April 3. Berwick Station, Selmeston, Chalvington (lunch) and Cobb Court will be included. For more details call Bernie Kempton on 01825 722649 or 07791 247025. ATTENTION GARDENERS: Spring has arrived very early this year and there are flowers everywhere. Hopefully there will still be some when Plumpton & District Horticultural Society holds their Spring Show, at the village hall, on Saturday April 6 at 2pm. For a Show Schedule, detailing the classes, please call Gill Stewart-Brown on 01273 890572. The classes include flowers, vegetables, crafts and cookery. Do enter a class or two; entries only cost a few pence. The Show is open to everyone members, children and non-members so do take along your flowers, pot plants etc. and help make it a colourful show. Entries need to be there by 9.30am and stewards will be on hand to help if you are a beginner and not sure what to do. To learn more and see the flowers, crafts and produce on display do go along at 2pm. There will be refreshments, pick a lucky number and a tombola. Entry costs 50p, children free. WOMEN’S INSTITUTE: meet, at the village hall, on Wednesday April 10 at 7.30pm. Visitors and new members are always welcome and to find out more call Sue Walton on 01273 891827. SPRING FLOWER WALK: led by Reg Lanaway, a local expert in flora and fauna, takes place on Sunday April 28 at 2.30pm. Meet at Plumpton Equestrian Centre ready to start walking at 2.30pm. Please wear suitable footwear as the paths may be muddy. The cost is £5 per person (under 14s free) which includes scones, cream and jam at The Half Moon, Plumpton, after the walk (about 4.20pm). The walk is being organised by Plumpton St Peter & St James Hospice Support Group and thanks go to Plumpton College for allowing parking at their Equestrian Centre. For more details call Sue on 01273 891701. 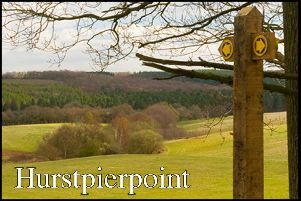 PLUMPTON CIRCULAR WALK: (about four miles) with the Footpath Society is on Saturday April 6. Meet members at 2 Strawlands, Plumpton Green (Map Ref: 324 239) ready to start walking at 2pm The walk will be followed by a cream tea. For more details call Jo Taylor on 01273 890450. MALLING NATURE RESERVE: to Ringmer, about nine miles, is the Footpath Society’s walk on Sunday April 14. Meet at Phoenix Causeway (Map Ref: 402 103) ready to start walking at 10.30am. There is the option of lunch at the Green Man or perhaps a picnic. The route back to Lewes will be via Lower Stoneham. For more details call Sandy Washer on 01273 477336. FLOWER CLUB: meet on Wednesday April 17, at 7.30pm, at the village hall. Visitors are most welcome and the cost is £3. There is always a raffle giving a chance to win one of the demonstrators’ arrangements. For more details call Gill Wells on 01273 890561.